I had to go through an excruciatingly lame ethics “course” for my employer that was really a slide show. The only challenge was figuring out which button or link to take next since their interface was horrendous, but that didn’t take long. There weren’t even any questions; I could have ignored all the text of their fit-for-elementary-school tale. Before I could look at their ethics tale, I had to convince the web server to let me see their crap. In the process, I received a turd that I have tried polishing for you, but the poor fonts and scaling mean you may have to take the link to read it. One of the computers I use at my job still runs Windows XP. The claim that it isn’t optimized enough shows whoever wrote the error doesn’t know the meaning of optimized. 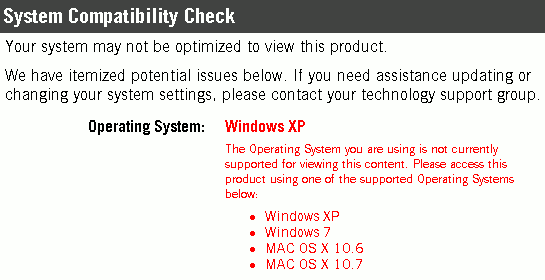 Even better is the suggestion that instead of running Windows XP, I should try running Windows XP. To get this far, I had to use Internet Explorer; the installed Firefox was too new according to the server, but I’m sure it would have worked fine. I tried to print the error page, but IE choked, quit responding to events, and crashed three hours later. I neglected to mention in my last post a couple of interesting shirts I saw. I got them both in the same picture and didn’t notice until I was looking through them at home. The one in the middle is for Brooklyn Superhero Supply Co., which actually exists. On the left is a shirt with two pictures of the guy who is wearing the shirt, which is a bit strange. However, the pictures include astronauts and he seems excited over his connection to the space program. He’s like the science fiction fans who show up at conventions wearing detailed costumes, only he is doing it about non-fiction, so it’s cool. Really, everyone who gathered to see Endeavour were fans, even if no one was wearing costume. Some were wearing “Endeavour fly out” shirts; while nice, they weren’t quite as interesting in this context. I went in my “Low flying spacecraft” shirt. It seemed appropriate. I don’t have any pictures of that; it’s hard to take your own picture with an SLR. 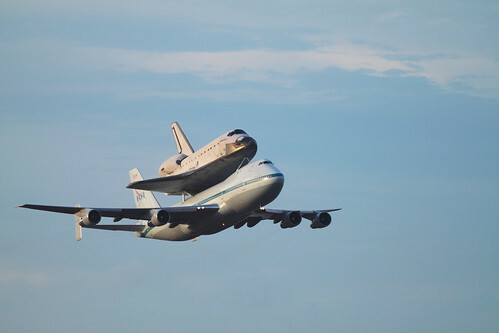 I had the opportunity to watch Endeavour fly away from Kennedy Space Center one last time. While I didn’t get a picture of her, astronaut Kay Hire was there and greeted everyone lined up in front waiting for a good view. I finally put the photos up today. I think they came out a little better this time around then the pictures of Discovery’s departure. This time I used a different lens, a 300mm with a wider aperture instead of a 100-400mm . The aperture helped to get better quality pictures, but the focal length prevented getting the whole orbiter or its carrier in the picture when they were on the runway. 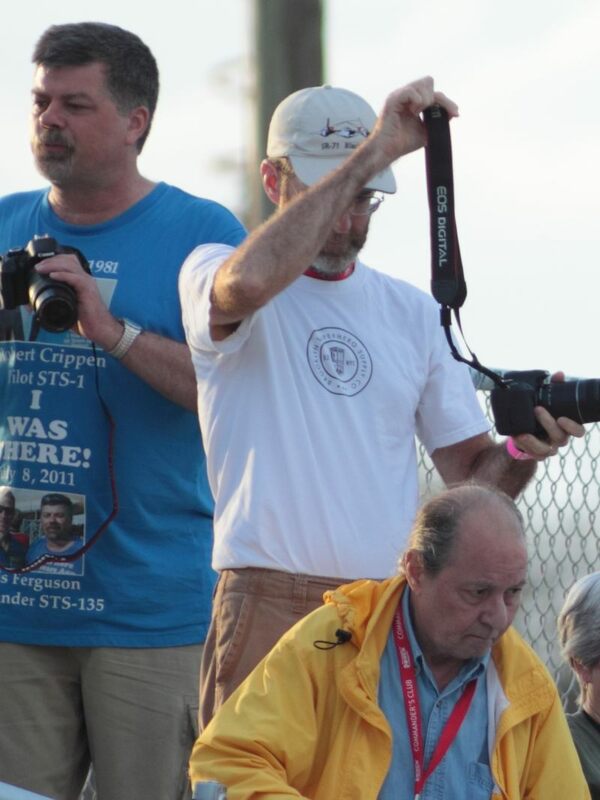 On the positive side, the names if the crew of the Shuttle Carrier Aircraft are readable in a few of the pictures. They are below the cockpit of the 747. There was more haze in the air this time, so some pictures lacked contrast. I did what I could, but it made ISO 200 look more like 1600. I learned that Tom the bus driver still works there. He still talks a lot, and he gets easily distracted by alligators. They also started to charge for parking at the visitor center. I suppose that unwelcome change was inevitable. 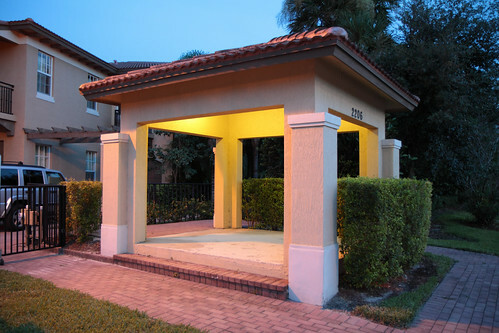 It’s a gazebo covering nothing but a concrete slab. While it has a light, there doesn’t seem to be any point in bothering to provide illumination. Apparently the gazebo fell victim to the fence, who stole the benches that made the gazebo useful. There is a High Occupancy Vehicle lane along a southern stretch of I-95, but it comes with hours. At almost any time of the day, you can find drivers on I-95 who avoid the HOV lane. I see this practically every time I travel this stretch of I-95, yet I’m seldom on I-95 when the HOV restriction is in effect. Seems odd to me. Drivers are supposed to be able to read, right? These tend to be the drivers who want to go faster when the slow pokes fill every lane, the very people who seem more likely to break the HOV rule since they are already breaking the speed limit. Yet they avoid using the HOV lane whether it is around noon or late at night and just go slower tailgating a slow poke. 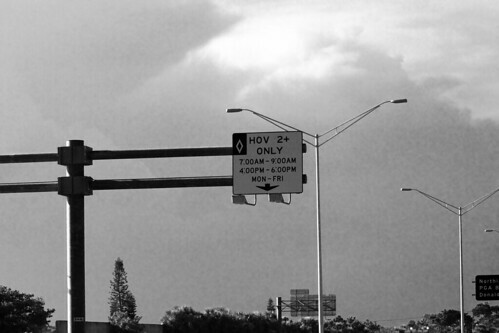 In their defense, only every other HOV sign show the hours. It may be a rather American thing that just 2+ is considered to be high occupancy. The only vehicle I can think of that can’t manage that is a motorcycle. But then, I read “2+” as meaning “occupancy > 2”. I have the notion that other people may read it as “occupancy >= 2”, which would allow some motorcycles. High occupancy sounds like it should take a passenger bus, not a small car. Retention pond or class A+ office? 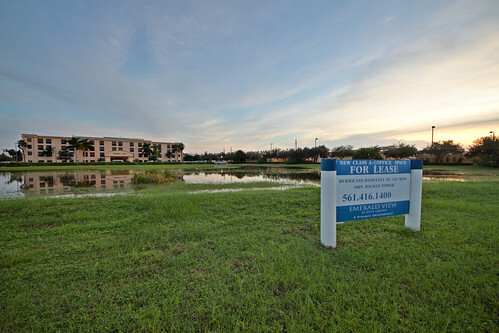 In Florida, the swamp-like land of a retention pond doubles as a class A+ office. This flat stretch of land can easily survive very strong winds from a hurricane, as claimed on the sign. I’m not sure why it would need a backup generator, but I suppose “100% backup power” may mean nothing if there is nothing that needs such power. Another picture shows some birds enjoying this office for a meal. While there are some other buildings around, signs like these are usually placed in front of the office building or its adjoining parking lot. This sign has no such placement, and certainly isn’t for the hotel in the background. That leaves the retention pond to be the office. Everyone on I-95: try transit! I thought I was trying transit. Was I doing it wrong? I took this while on I-95, and like most people there, I was inside a vehicle. Even the people who were on top of a vehicle were in transit. Just about everyone who will see this sign will see it while in transit. Are we all doing it wrong? 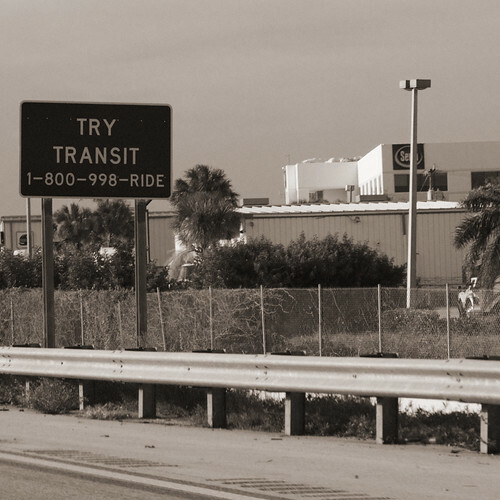 Even the people who maintain I-95 and the land around it use transit to get to where they work and again to leave. Who is this sign for? Who on I-95 is not using transit? Should we be transiting more? Or is this part of a plan to help people travel after the zombie apocalypse? Why are these signs on I-95?